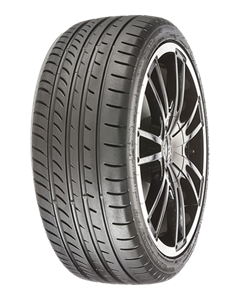 Introducing CHAMPIRO UHP1, born to conquer various road conditions. Excellent wet and dry handling, precise cornering and braking provide you an exciting driving experience. Fantastic service, quick turnaround and good value for money. Lovely staff who are professional and have excellent customer service skills. Nothing is to much trouble. Highly recommend. Will definitely be a returning customer. Thank you. Booked in the evening for a tyre fitting the next morning and it all ran like clockwork. I asked for a call in advance so I could leave work to sort it out. Very friendly and efficient. Called at the time I asked and turned up when they said they would. Good value too. If I get another flat I wouldn't dream of calling anyone else. Had a puncture on the way to work this morning. National tyres let me down and refused to help so I looked online and saw Preston Tyre Specialists LTD. Ian was quick to help replace the tyre and had me back on the road in no time. Next time Preston Tyre Specialists LTD will be my first choice. Great service Ian!